He was born and raised in Amarillo, but hails from Abilene, TX and he is known for being the first independent male artist to debut a number one on the Billboard Top Country Album Chart. Ladies and gentlemen, meet Mr. Aaron Watson. Watson’s early passion was for baseball, which he played until his career was cut short by an injury in junior college. He first started learning the guitar while attending Abilene Christian University and has come a long way since those early days. To date, he has released 12 albums, five of which were from his own record label, Big Label Records. His first album dropped in 1999 and was titled Singers and Songwriters. In 2002, with the album release of Shut Up and Dance, Watson started gaining broader recognition. His faith plays a big role in both his music and his life. He grew up singing gospel music in church with his family. They would frequently listen to Willie Nelson, who became one of Watson's biggest influences and who is featured on Watson’s album, The Honky Tonk Kid. You will find a mix of gospel and country music in Watson’s wheelhouse. He states that there are three things he believes in above all else, “family, faith, and fans.” His seventh album, Barbed Wire Halo, consists of readings by Billy Joe Shaver and a collection of gospel songs. In 2015, he released The Underdog and two of the singles on that album he wrote for his family. The first single, “That Look,” was written for his wife. His new song, “Bluebonnets” (Julia's song), was written about his daughter, Julia Grace, who passed away during infancy in 2011. Watson has an amazing support system of his wife Kimberly and their children, Jacob, Jack and Jolee Kate. Watson is currently back in the studio recording new music. You might be able to get a sneak peek if you make it out to one of his concerts! Tour dates are announced monthly and he already has over a 100 shows under his belt for the year. 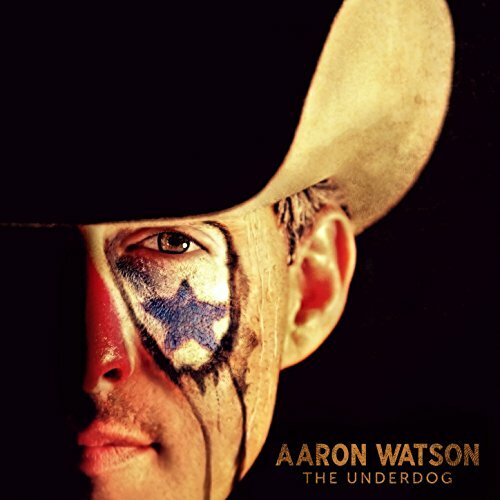 You will find Watson as one of the headliners for the Sugarland, TX Country in the Ballpark event. He will also be performing at local venues in Texas, but he may be coming to a town near you! Check out his Facebook page to see where he will be!